Scout and Molly’s of Sawgrass has the looks to fit any occasion or style preference. We carry all the best boutique brands and the latest trends in women’s clothing, and we’ll show you how to bring it all together to help you look (and feel) your absolute best throughout 2019! Maxi’s are back and they’re going to be a hot item again for Spring. This River and Sky Super Moon Maxi dress in vintage black features a deep v-neck and pulls in tighter at the waistline to show off your feminine figure. Remember that the key to accessorizing simple but timeless looks like this is to use some of your already-owned items like a statement necklace to really tie the look together. 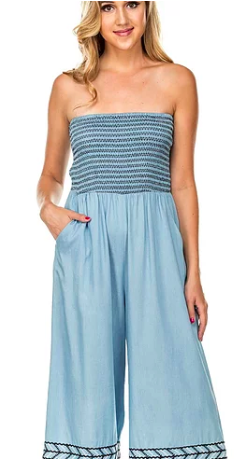 Jumpers are in again and this denim embroidered jumper by Joy Joy is a nice break apart from the muted colors and neutral tones of Winter fashion. Add a little bit of color to your world with a cropped style piece that fits looser in the legs like this one. 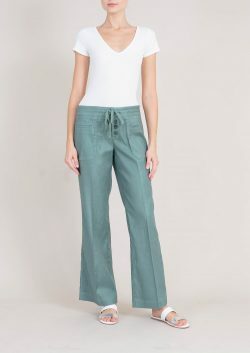 We’re also loving the look and feel of linen pants for this upcoming Spring. These Level 99 Violet Lounge pants in the color Parrot are great to pair with trendy sandals and a simple top. Add any solid-color blouse and you’ve got yourself a simple Spring style that is both comfortable and cute! Regardless of where 2019 will take you, make sure you do it in style. Come see the personal stylists of Scout and Molly’s of Sawgrass and we’ll help you bring out that inner fashionista that is so desperately wanting to be free!